This piece meditates on the beauty of repairs and what comes when you allow yourself to fall apart and be put back together. How you put yourself back together is as important as how you break. Poet and spoken word artist Joyce Lee is back with us from Colombia on a special occasion to tell her stories as the red-thread for this exclusive three day performance. 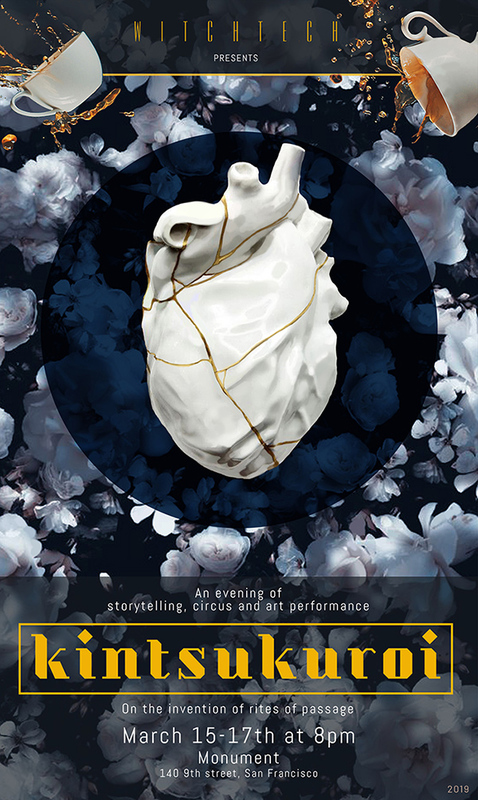 She's joined by supernatural bay area circus and Butoh talents to create an avant-garde mixture of theater, circus and personal stories to tease out an ineffable experience that you'll have to see to believe. © WitchTech. All Rights Reserved.